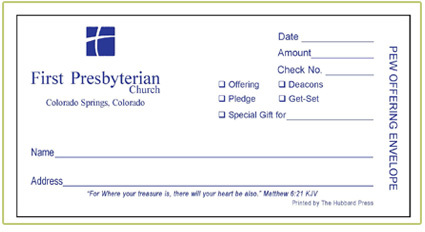 Envelopes to help your church grow its giving. 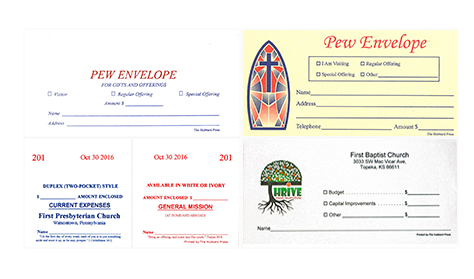 We offer a variety of pew envelopes, special occasion envelopes, mailing envelopes you can choose from standard styles or design your own. 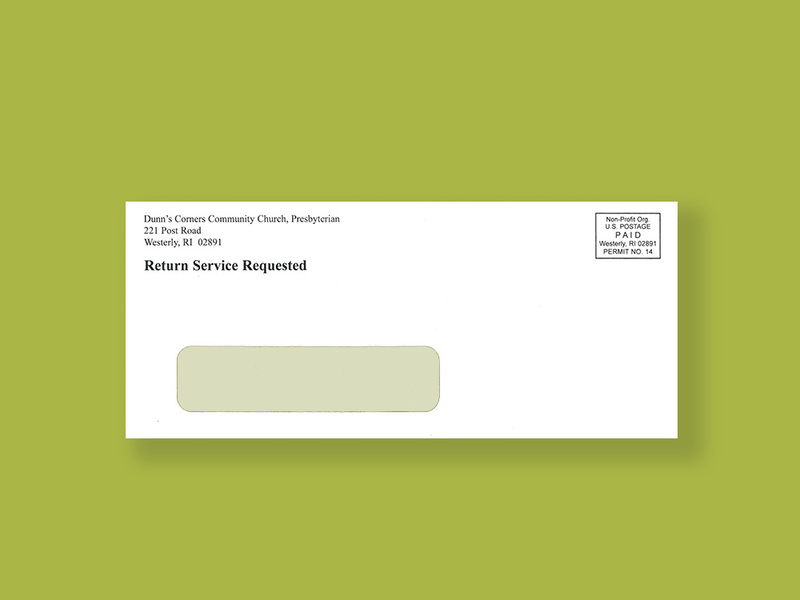 Choose from a variety of boxed set envelopes to make your giving grow. 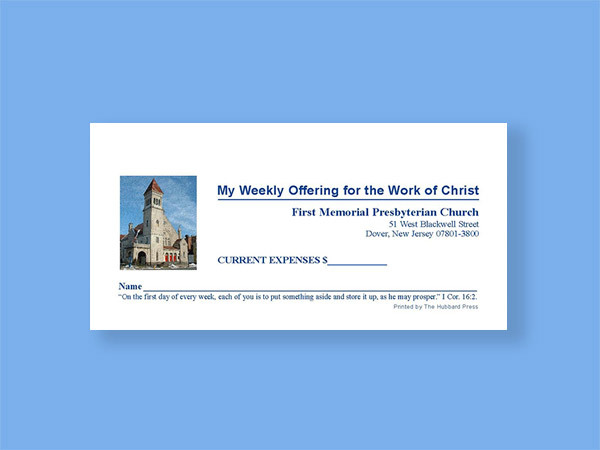 Special or standard printed cards for any need your church may have. 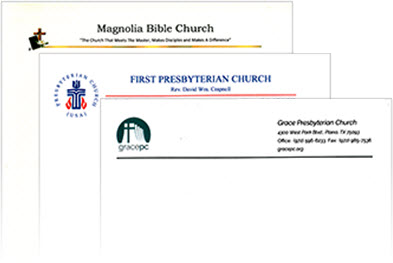 Letterhead with matching envelopes, business envelopes and business cards. 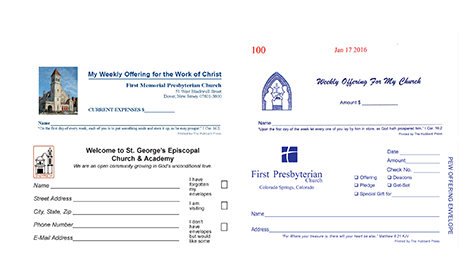 Record forms with matching #7 envelopes to keep track of your givings. 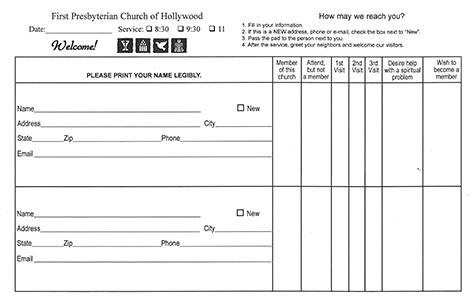 Registration pads for your pews to keep track of your attendance. 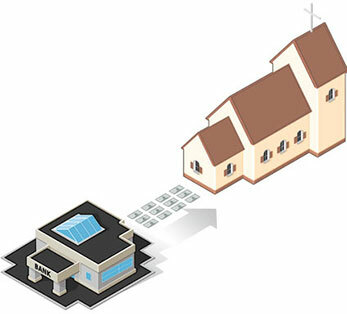 Electronic Funds Transfers and special custom design services available. 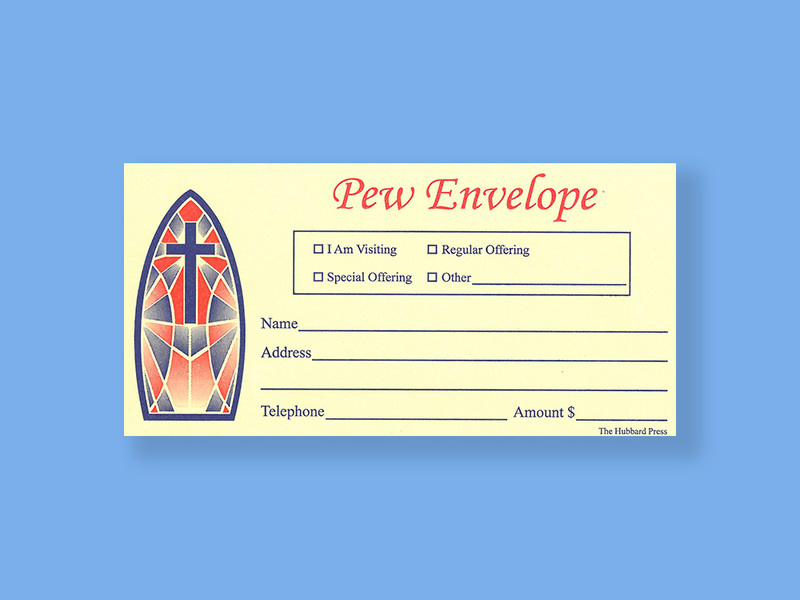 Pew envelopes may be custom designed, printed on the envelope color of your choice, be vertical or horizontal, imprinted with your own message and use your church graphics. 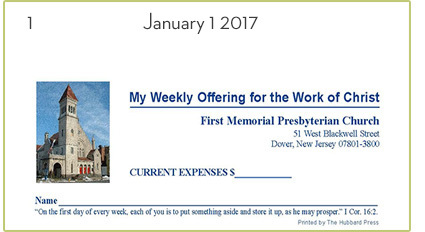 Business envelopes may match your letterhead, include your church picture as well as offer a mailing permit. 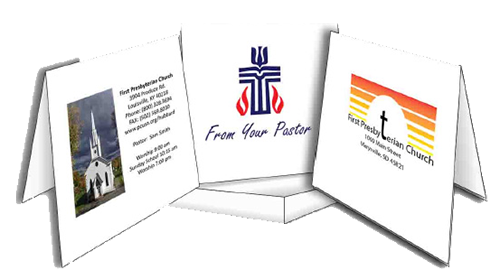 Design your own cards and imprint the envelopes to match. 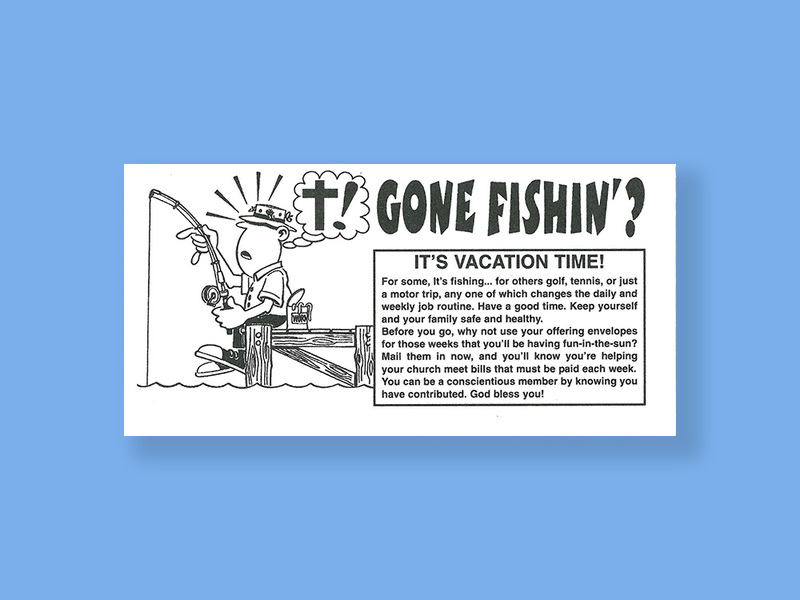 Use for any occasion. 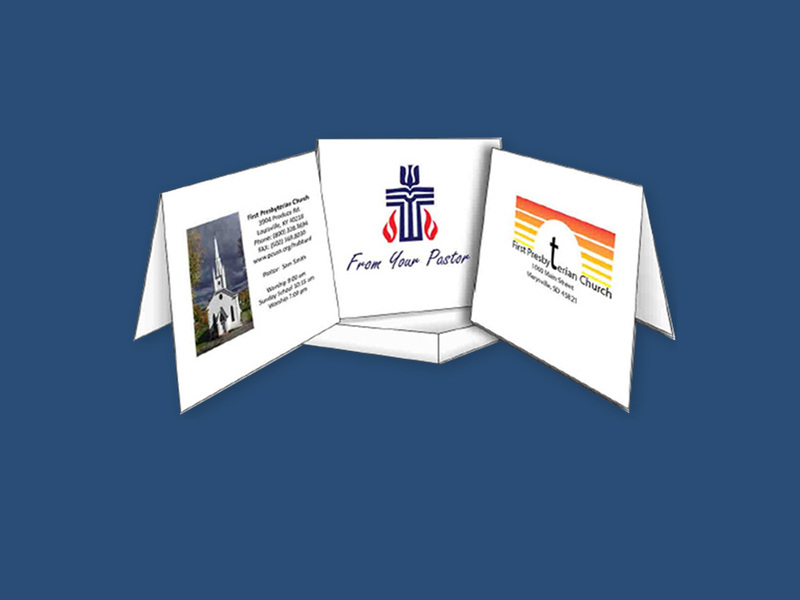 Each box includes 15 cards and envelopes. Protective box included. 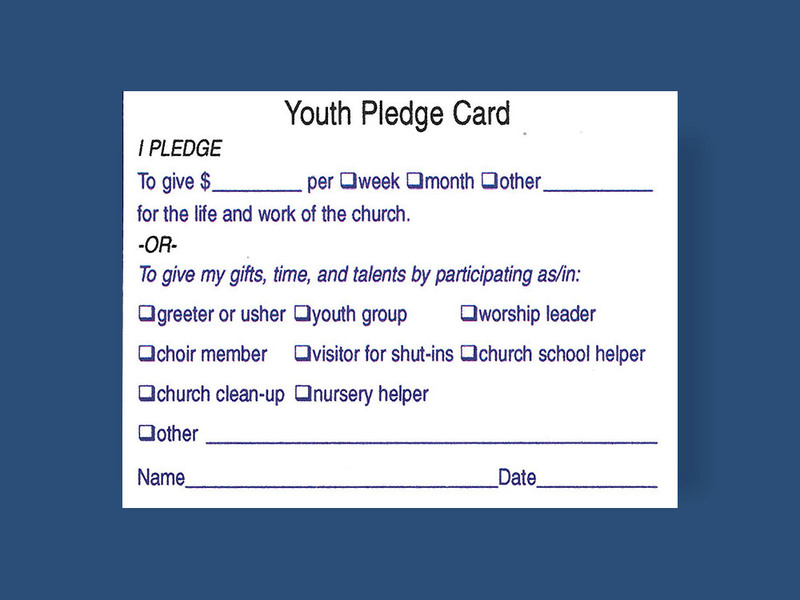 Pledge cards specifically designed for a younger audience. 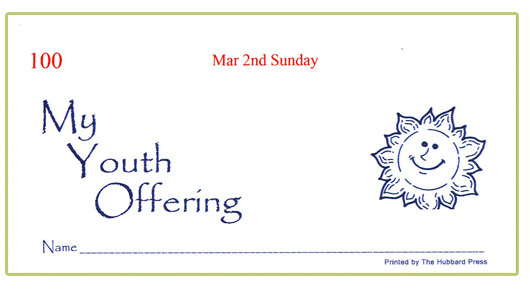 Special printed envelopes allow you to design your own envelope. All sizes and colors are available. 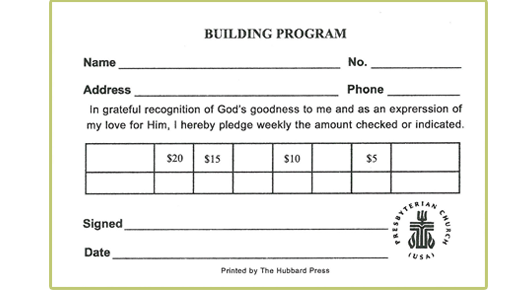 Special inks can also be used. 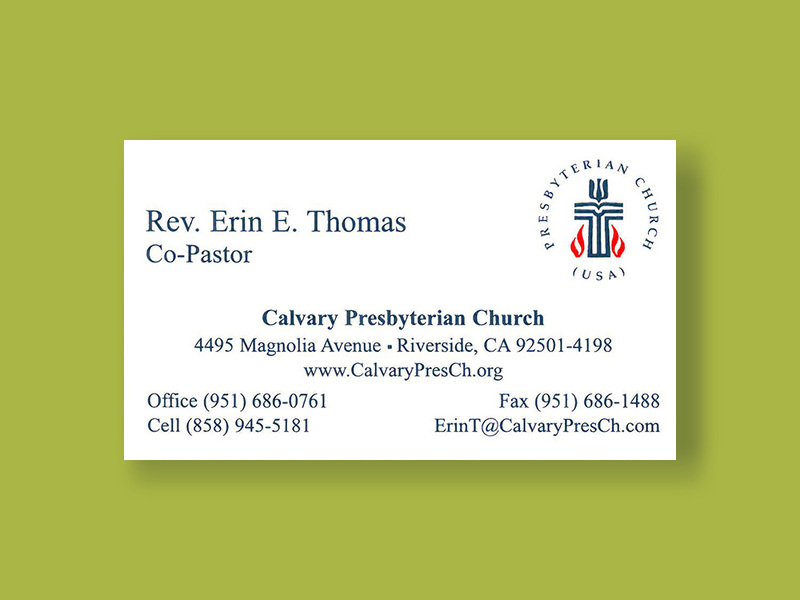 Personalize your business cards by selecting the card and ink color, adding a church picture or graphic. 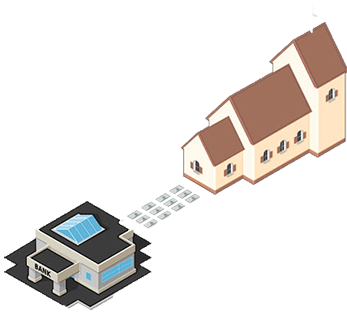 Low affordable prices. 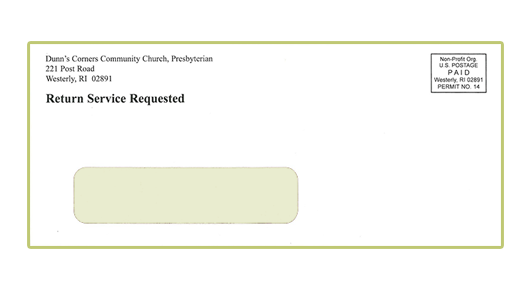 an agency of the Presbyterian Church (U.S.A.).